Distribute raw materials for the food industries, focusing on the highest standards of quality and respect for the global environment. 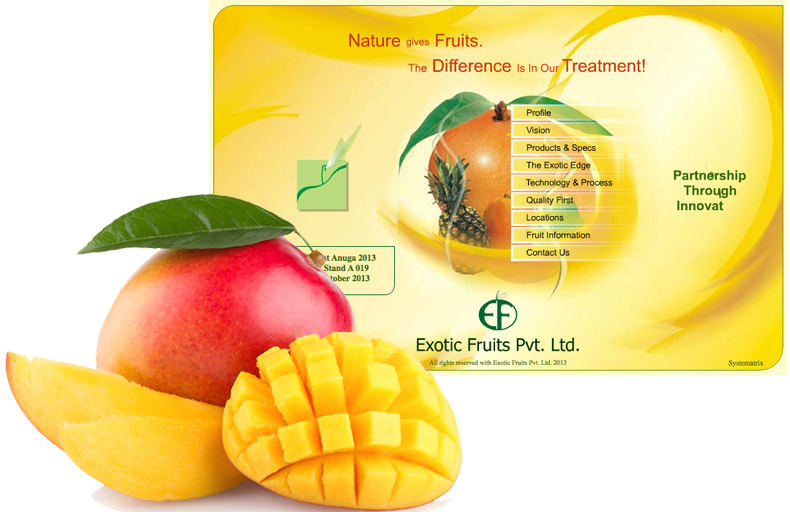 The Company Exotic Fruits is a well established major producer in the Indian MANGO market. 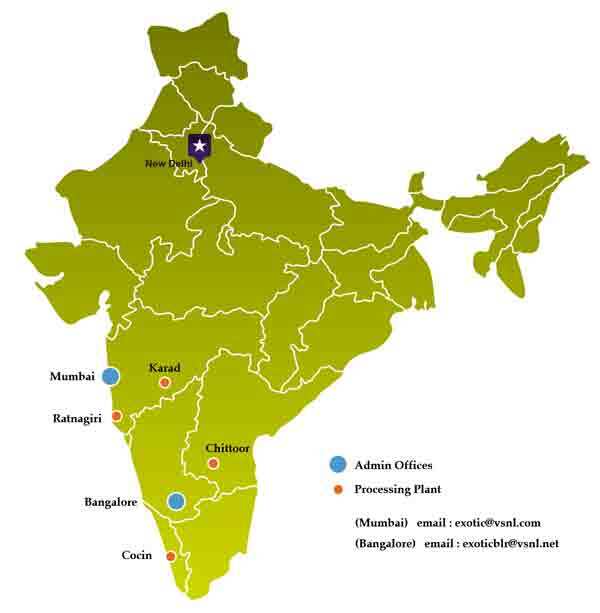 EXOTIC has 4 manufacturing plants, close to the growing sreas of the fruits. See map. EXOTIC produces frozen , aseptic and canned fruits , where « quality comes first » . The company is an approved supplier with the SGF quality system. Frozen Ratnagiri Alfonso mango puree is one of the toppers of the Company. The superb quality meets the requirements of all customers where quality is the nr 1 driver. EXOTIC also produces Totapuri, Kesar and other mango varieties , as well as guava, papaya and pomegranate.